With a towering mass of muscle and unstoppable power, The Hulk can toss 100 tons, fight without tiring, and bring armies to their knees. 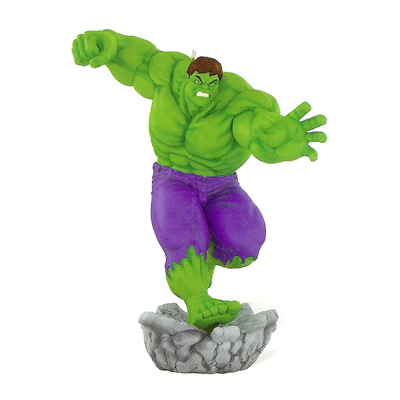 But hiding deep inside the Green Goliath's monstrous bulk is the struggling soul of Dr. Bruce Banner. It's this sensitive nuclear physicist, transformed by a Gamma Bomb experiment years ago, who must calm the Hulk's raging heart and guide his gargantuan strength toward good.